You can also access Suffolk Online Webmail by clicking on the link above or by going to the main Suffolk Online Website at https://www.suffolkonline.net and selecting Webmail on the top right of the page. 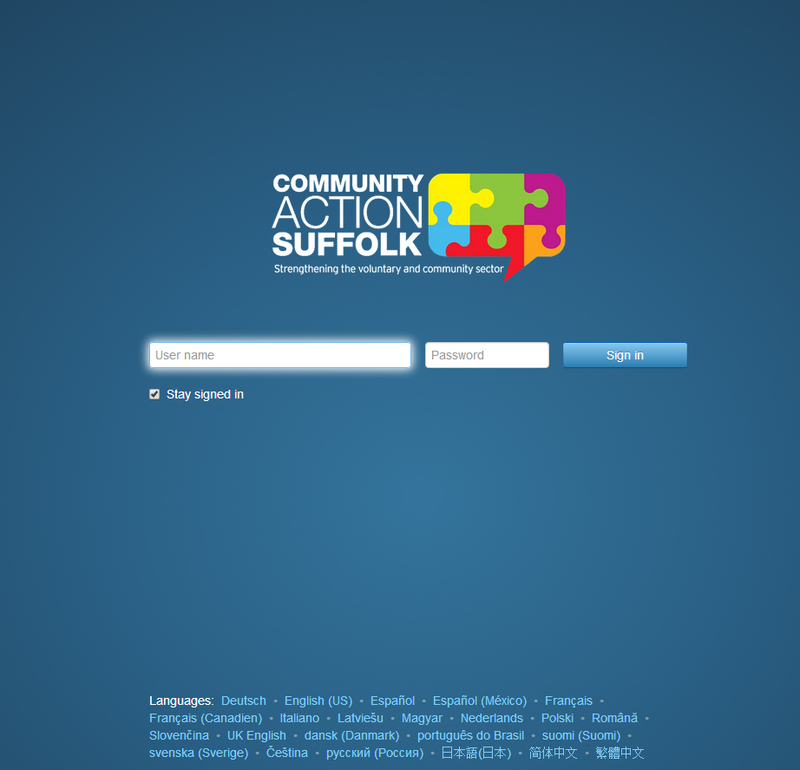 The new look webmail can still be found at webmail.suffolkonline.net All you need to do is to login using your Suffolk Online email address and password. The first thing you will see is your Inbox. Folders are arranged down the left hand side. The emails for the selected folder appear in the middle of the screen and the selected email appears on the right. The menu bar at the top of the screen allows you to navigate around the webmail and also access settings and help. 1. Enter the recipient’s E-Mail address in the To field of the sidebar. If you want to send to more than one person, add the additional addresses and Press Enter. 2. Enter a subject for the email in the subject field. If you want to add attachments to the E-Mail such as documents or photos, click on Attachments. Click on Add attachment and select the file you want to send. You can also add an attachment by dragging and dropping the file on to the compose email window. To create a folder please click the New Folder button on the left hand side of the screen, underneath the folder list. A box will pop up asking you to name your new folder. Enter your desired folder name and press Add Folder. To add emails to folders simply drag and drop them from your inbox in to the desired folder. You can access your address book by clicking on Address Book in the menu bar at the top of the screen. The Address Book View provides a view of the users contacts and the ability to add new contacts and group them in distribution lists. The icon creates a new contact or a new distribution list. In order to create a new contact, you must at least enter one name in the Add contact window. All other data is optional. You can search for contacts by clicking on the icon. In order to display contacts with a certain initial letter, click a letter in the navigation bar. Click on a contact in the sidebar. The contact’s data is displayed in the display area. 2. Choose Mail from the left hand menu. 3. Click Add new signature. Once you have created the signature, you will see it as an option when you compose an email so you can select the signature from the list. Along the top of the menu bar is an option called Portal. This is a very useful feature of the webmail. It is from here that you can really personalise the service to suit you. In the top right hand corner you will see the option to Add Widget. Birthdays – It will display the birthday of anyone in your address book if you have added it to their contact. Facebook – Use this shortcut to login. Inbox – When you click on Inbox, the E-Mail app opens. If you click on an E-Mail, a pop-up opens which will display the E-Mail’s contents. To delete, reply to or forward the E-Mail, click on the respective button in the pop-up.To compose a new E-Mail, click on the Compose new E-Mail list item. LinkedIn – Use the portal to login to this site. Quota – Displays the current quota used on your account on the server. RSS Feed – Use this feature to manage your RSS feeds. Tasks – If clicking on Tasks, the Tasks app opens.If clicking on a task, a pop-up opens. The pop-up shows the appointment data. Twitter – login using this shortcut. Click on the icon to search for an Appointment. Click on the icon to add a new Appointment. 1. Select an E-Mail with a vCard attachment in the E-Mailapplication. 2. Click on the attachment’s name in the display area. Click on Add to address book in the menu. 1. Select a contact or a distribution list from the sidebar. 2. Click on Send mail in the display area. 1. Click the System menu icon on the right side of the menu bar. Click on Settings in the menu. 2. Click on Address book in the sidebar. 3. Change the settings. You can change how you display the contact by choosing Display of names This. specifies the order in which a contact’s first name and surname are displayed in the address book. My contact data opens a page where you can change your personal contact data. You can import data from other applications. Vcard and CSV format formats are supported. 1. Launch the Address Book app. 2. Select the folder for importing the contacts to in the folder tree. 3. Click on the icon next to the folder name. Click on Import. 4. Select the data format. Click on Import. 3. Click on the icon next to the folder name. 5. Select the vCard format in the Import into window. Click onSelect file. Select a file in the vCard format. It is important that you keep your password secure and you can update your password through the webmail interface. If you have forgotten your password and need to have it reset, please contact our Technical Support Team on 01608 434 000. You can change your password in the Basic Settings. Click on the icon and you will be taken to the Basic Settings options. Click on Change Password to update the password. As part of our recent email upgrade, one of the great new features of the system is the new and improved anti-spam controls and also the ability for you the user to tailor these to your needs. If you want to block (blacklist) or allow (whitelist) specific emails you can now do this yourself without calling the helpdesk. Since the upgrade you may find that some genuine emails have gone into the “quarantine” folder. This is to be expected and is just part of the system learning which emails are genuine and which aren’t. You now have control over how you deal with these. Blacklisting is a way of stopping emails from a given address or domain from reaching your inbox, it’s a useful way of blocking nuisance emails from a given address. To do this simply go to www.suffolkonline.net and click on webmail along the top. Once you are on our webmail page, type in your full email address and email password and then from here you will be control your spam emails. 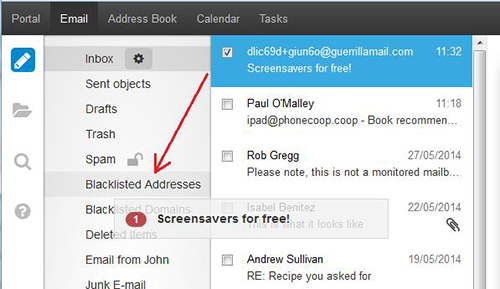 From here you simply drag and drop the email in question over to the Blacklisted Addresses folder. If you want to block all emails from that domain drag the email in to the Blacklisted Domains folder. As the name suggests whitelisting is the opposite of blacklisting. If you are having issues with email from a particular address showing up in your spam folder instead of your inbox, you can drag an email from this account or domain into the Whitelisted Addresses folder. We would not recommend whitelisting an entire domain. Only add addresses that you trust to your Whitelisted Addresses folder. To download our illustrated guide of our webmail system please click below.